If you want to watch The Nun, please consider renting or purchasing the movie through this amazon link to help us support the podcast. The Nun is set in 1952 at a Romanian convent is tormented by an evil presence. A tragedy involving a young nun gets the Vatican’s attention and they send in Father Burke (Demián Bichir) and tell him to take along a young novitiate Sister Irene (Taissa Farmiga) who “knows the territory”. When they arrive at the convent, they are met by a low-key Pepe Le Piu imitator named “Frenchie”. The biggest twist comes when we learn that Frenchie is actually… French Canadian! Actually, they find out that convent is super creepy and the superstitious townsfolk deem it cursed (spit). They are definitely not off. The convent is haunted by an ancient demon that comes in the form of a scary looking nun. As they investigate the history of the convent and the recent happenings, it is revealed that the situation is much more dire than originally suspected. The Nun is a good horror movie. There isn’t anything truly exceptional about The Nun, but it executes the tropes of a haunting/demon story better than most. Like The Conjuring, it is a light, but very effective R-rated feature. The jump scares are there, but aren’t overdone. The director Corin Hardy does an impressive job in this, only his Sophmore feature film. Written by James Wan, the script is tight, though at times bluntly expository. The main bit of background exposition was blatantly recorded in post production that it makes me wonder how it was done originally. The acting is fine, but takes a back seat to the creepy production design and effective editing. The Nun is closely tied to The Conjuring 2 in that the main protagonist in both movies is the same demon: “Valak”. If you’re looking for an origin story of how the demon got into a creepy painting, not much is explained in The Nun itself. The Conjuring 2 explains that the demon uses imitation to obfuscate itself as the true villainous ghost. The Nun briefly touches on the fact that Valak chooses the form of a nun because, well, it’s in a convent, and nuns trust nuns (?). Valak is given a backstory in a ham-handed and slightly jarring flashback. The convent was previously a castle owned by an evil duke that tried to summon Valak through witchcraft. Right as Valak was emerging from cracks in the ground in the form of Nickelodeon Gak, the heroic CATHOLIC CHURCH burst through the door and saves the day. The crusaders bursting in is right out of Monty Python’s “Nobody expects the Spanish Inquisition” sketch. To continue the Monty Python references, they expel the demon by using a holy relic containing the blood of Christ that looks suspiciously like the Holy Hand Grenade of Antioch. Despite the noble efforts of the crusaders, the demon is later released because of a bombing run in WWII opened up the cracks in the floor, and Valak got out. In an odd twist, The Nun goes for a relatively happy ending despite the foreknowledge that Valak would later torment the Warrens in The Conjuring 2. At the end of The Nun, Sister Irene expels Valak with the same relic as the Crusaders, albeit much more unceremoniously. Then we are shown that Frenchie was actually marked by the demon, thus serving as the connecting tissue between the two movies. Is The Nun Worth Seeing? I would recommend seeing it in the theater since much of the enjoyment from viewing it comes from the audience reaction. It is a great example of a general audience horror movie. The exception being the slightly higher production value because of it’s connection to The Conjuring universe. If you’re not too snooty about horror movies and liked the other Conjuring movies, than this is worth the ticket price. 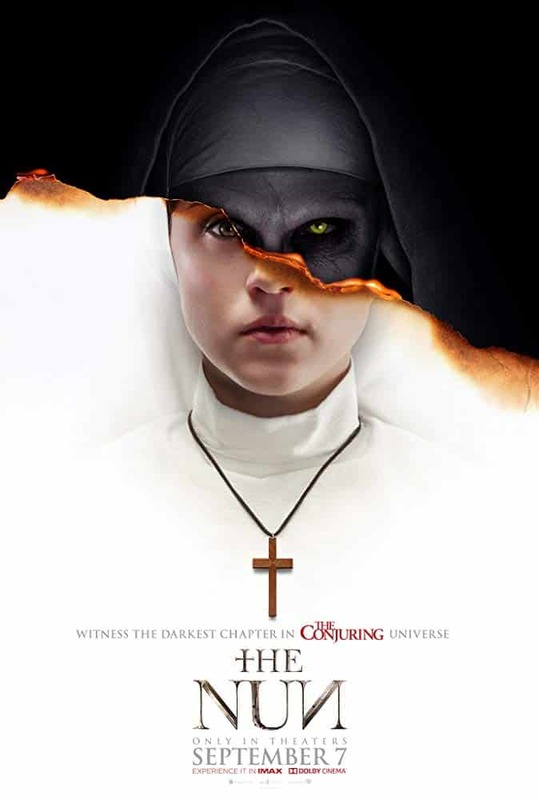 How do you think The Nun stacks up against the other movies in The Conjuring universe? Leave a comment below and let us know. I can understand why someone who doesn’t like horror wouldn’t like it. I think we were stuck in our, “everyone likes horror!” thought process. What don’t you like about horror?